At long last, Huawei has finally revealed the local pricing of their much-anticipated flagships, the Huawei P20 and P20 Pro and its newest mid-range device, the P20 Lite! and it’s actually so much better than what we’ve expected. 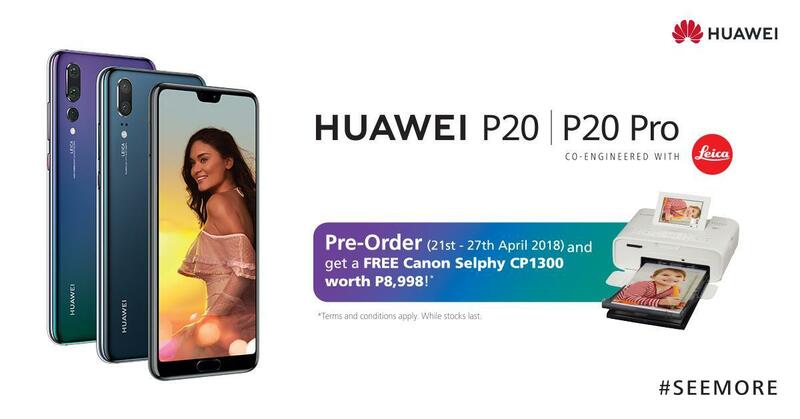 The Huawei P20, with its dual Leica Cameras will retail for PhP34,990, while the P20 Pro, equipped with the world’s first triple rear camera system, will be priced at PhP44,990. What’s more, those who will pre-order any of the two from April 21 to 27 will also get a FREE Canon Photo Printer! The Huawei P20 Lite on the other hand, with elegant design and dual rear cameras will retail for only PhP15,990! Those who will purchase a unit on April 28 will also get a FREE Huawei Bundle! All three devices are expected to be launched on April 28, 2018, in a grand event at the SM Mall of Asia Atrium.